Even before her first practice, University of Hawaii at Hilo Women’s Soccer Coach Unity Beddingfield has garnered attention. At the Topdrawersoccer.com website’s “5v5: College Coaching Changes”, the question of “Who is the best new hire in women’s college soccer?” was posed. 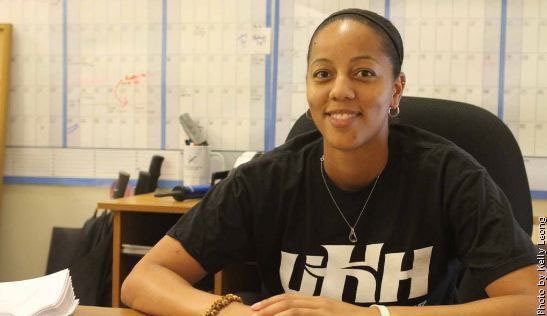 Beddingfield takes over the UH Hilo program after a year as the assistant coach at San Bernardino Valley College where the team finished 15-6-3. A 2011 graduate of CSU San Bernardino, Beddingfield has played soccer for over 21 years. She was a two-year starting forward for the Coyotes before joining the Claremont Stars of the Women’s Premier Soccer League. Beddingfield hoped to take her talents overseas before a career-ending injury derailed her efforts. A year after graduating from high school, she started her coaching career by joining the Arroyo Valley High School coaching staff while also playing collegiate soccer. By 2007, she became the head coach. The women take on Drexel University on Oahu in September for their first game. UH-Hilo womens soccer schedule.